Bohol is a mecca for scuba diving in the Visayas. 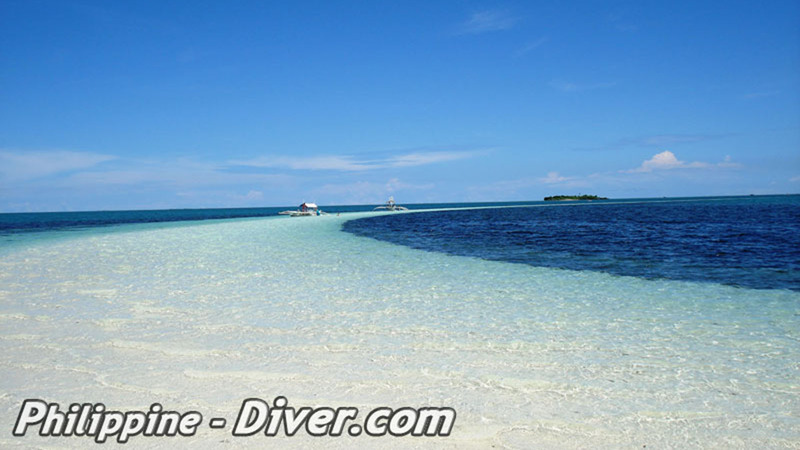 Most resorts, hotels and dive shops are located at the white sand Alona Beach on Panglao Island. 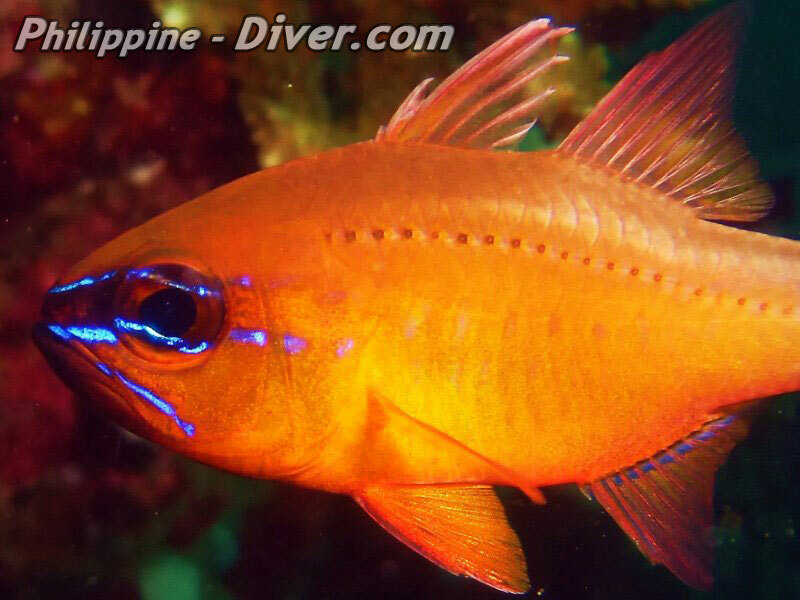 The marine life in this area offers everything you expect from the Philippine archipelago. Diving in Bohol is certainly something special. 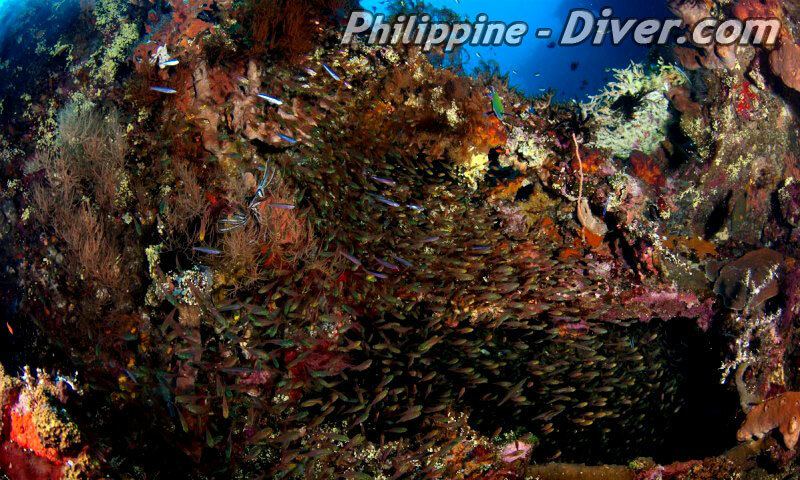 Some of the Visayas most popular dive sites can be found here, specifically around the Island of Balicasag, where one can discover the black coral reef forest. In Cabilao Island encounters with hammerheads as they pass through are not uncommon, as well as the occasional school of dolphins playing. 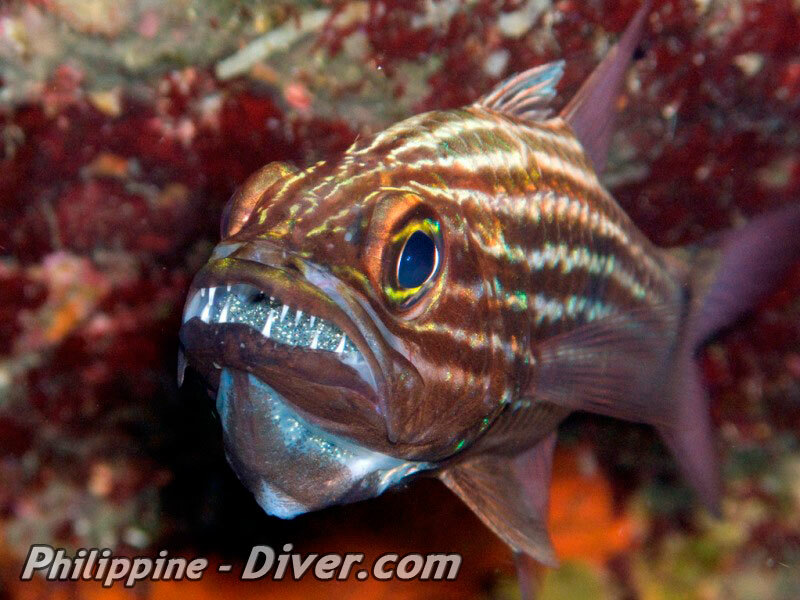 Another great place to discover for Scuba diving in Bohol is the south-west region between Guindulman and Anda. Anda is home to a nearly untouched 14 kilometers of coral reef. 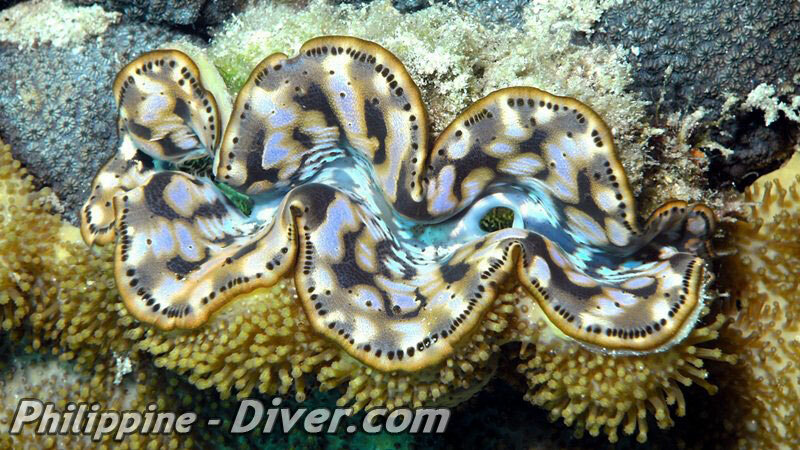 With only a few dives- and beach-resorts around this area you have the whole reef most of the time for yourself. The beautiful island is located in the southern Visayas between Leyte and Negros. 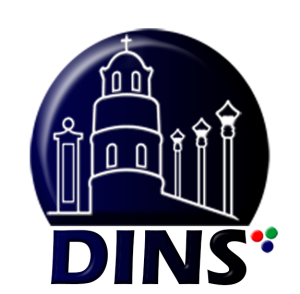 It can be reached via Cebu, Leyte or Dumaguete. 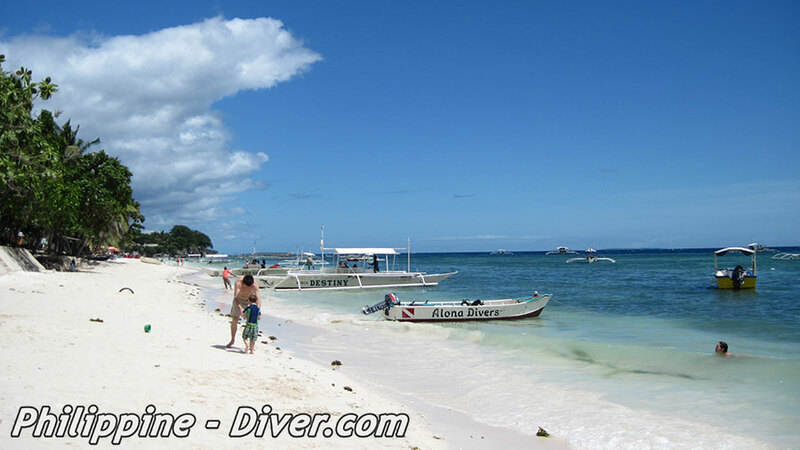 A large number of dive operators is located at Alona Beach on Panglao. If you don’t have a dive-shop in your beach resort, or decide for whatever reason to go scuba diving with another operator, you won’t have any problems to find one along this strip of beach. Dive Shops in Bohol usually offer up to four dives per day. 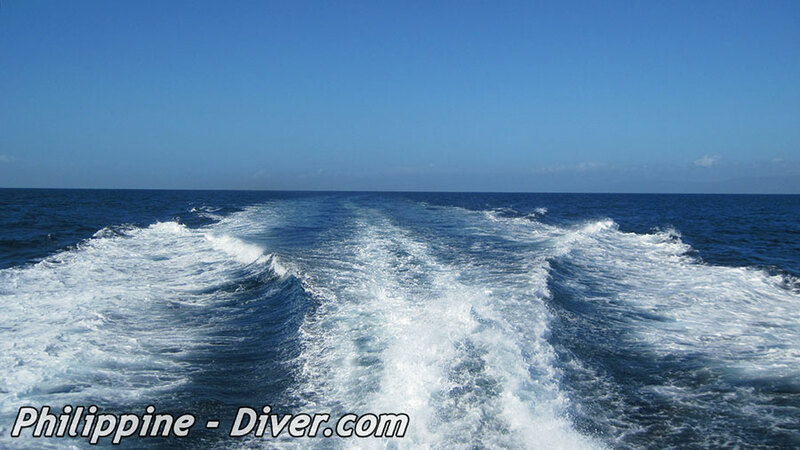 The coastal dives are all within a few minutes by boat. Daytrips to Balicasag Island are offered every day. 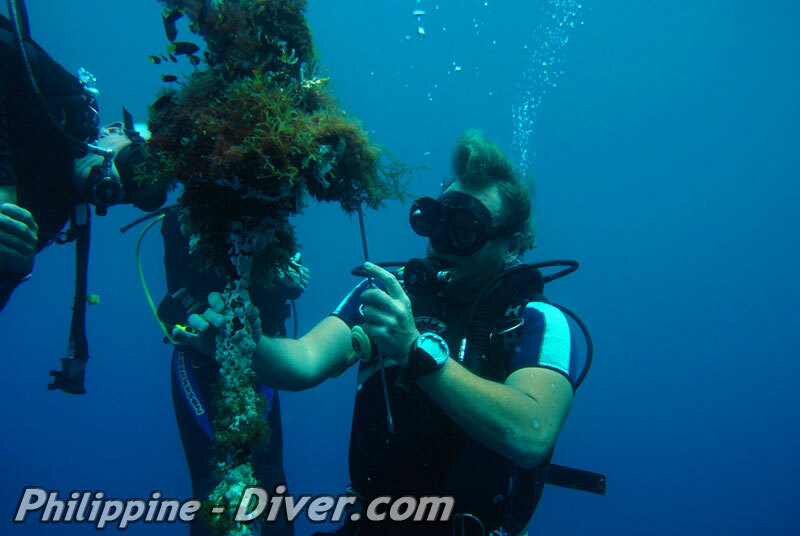 PADI courses for beginner or to continue ones’ dive education are offered anywhere. 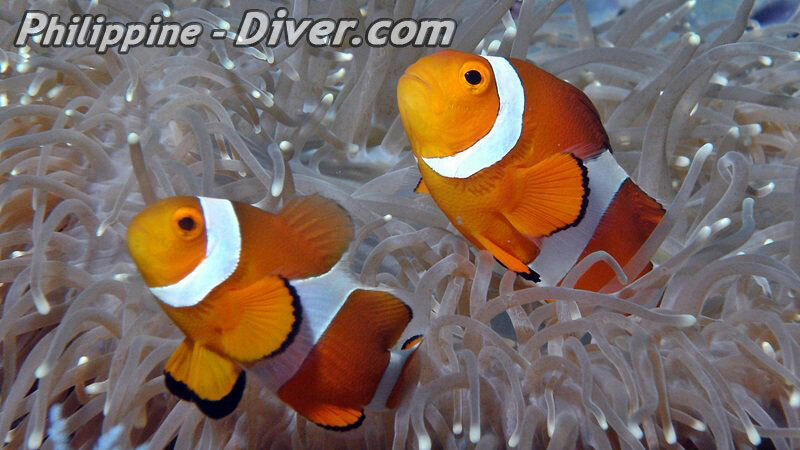 Typical for the Philippines, the dive shops in Bohol offer a complete service. After you checked in, just get your equipment and the paperwork sorted and the rest is blowing bubbles. The Staff will take care of all the rest. Just make sure your equipment is on the boat when you leave. Some dive shops in Bohol offer dive safaris to the surrounding islands in the Visayas. 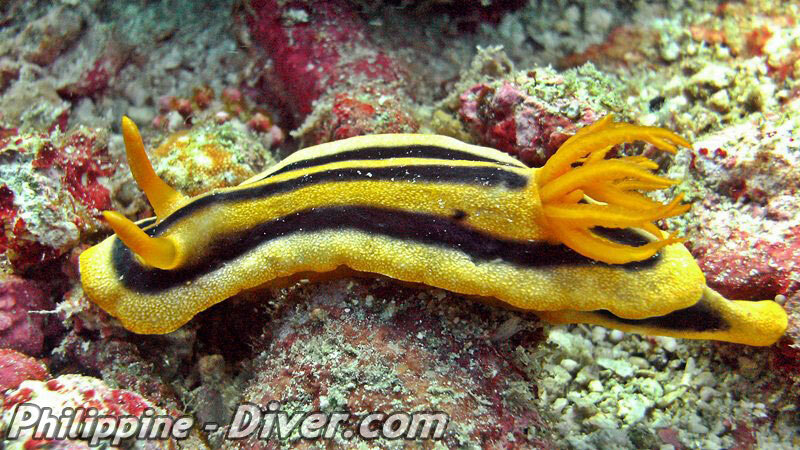 A famous one is the short 2-day dive safari. The dive boat leaves in the early morning hours for Apo Island. This trip takes around 3 hours. 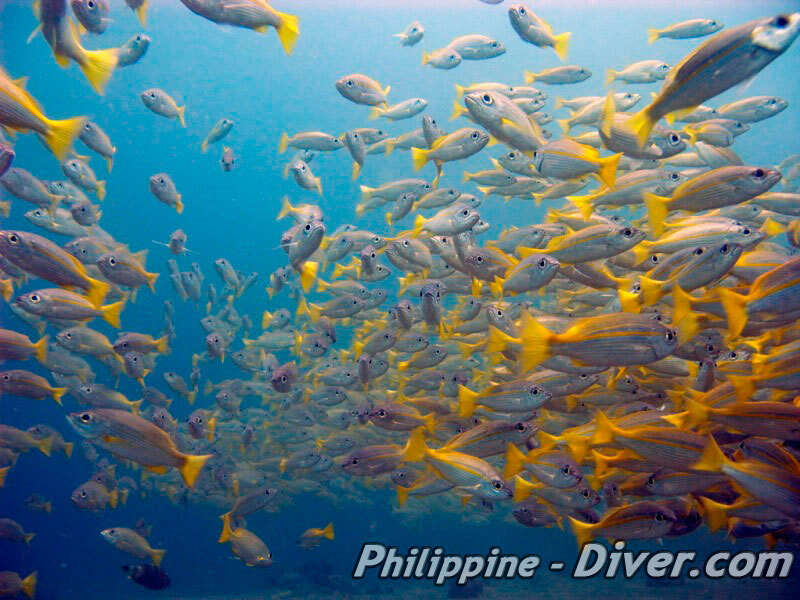 Arriving at Apo Island, be ready for three outstanding dives before heading to Dauin south of Dumaguete, where you will have dinner and spend the night. Early next morning you leave for Sumilon Island where you explore the marine sanctuaries of this little Island at the south-tip of Cebu. After the 2nd or 3rd dive the boat will head back to Bohol. In terms of tourist attractions, the province of Bohol has indeed many to offer. Some call it the number one tourist destination in the Philippines because of its many natural resources – from the Chocolate Hills to the exotic wildlife, great diving and down to the relaxing calm beaches of Panglao Island. Scuba diving is not limited to the area around Panglao, the south east coast of Bohol also offers some great diving including fantastic beaches, aquatic life and quality resorts. 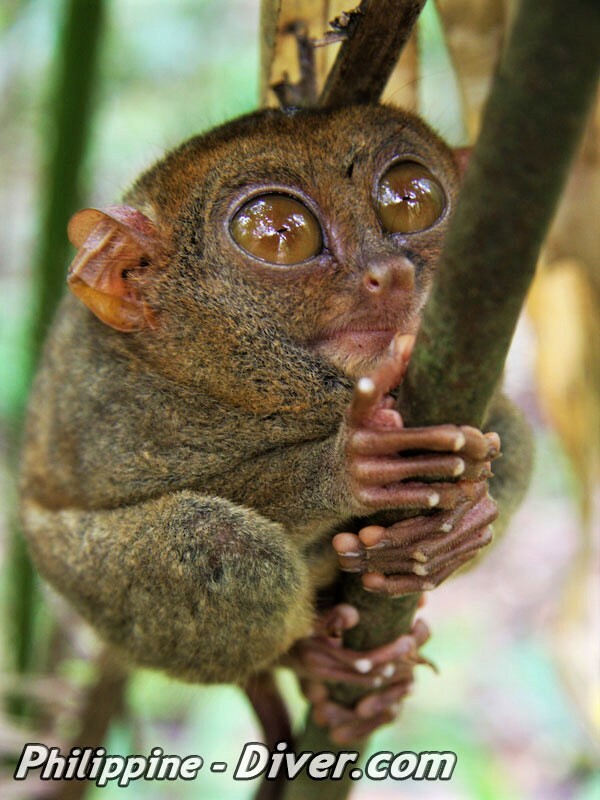 The rare Tarsier can be found up in the hills outside the town of Corella. Its natural environment provides a conducive breeding ground for the primate. It is indeed the smallest primate in the world measuring only four to five inches and having a tail that is longer than its body. It stares at you with big bulging eyes, in a rather outlandish fashion. Tarsier monkey souvenir dolls are available for purchase at the zoo. Perhaps the best attraction of Bohol is its beautiful coastline – many are drawn in by the white sand beaches as well as the opportunity for some marine underwater activities. Bohol is accessible both by air and sea. Several domestic airlines offer direct flights to Tagbilaran City, the capital of Bohol. You can also reach Bohol via passenger ships and ferries plying the routes between coastal cities and towns. If you are from outside the Philippines, you can take a flight to either Manila or Cebu before taking another flight or boat ride to Bohol. Cebu is preferable to Manila since it is closer, but only a few international flights arrive there. After arriving in Manila, you can take any of the daily domestic flights to Tagbilaran City which takes about an hour and fifteen minutes. Philippine Airlines (PAL), Cebu Pacific and ZestAir offer regular flights from Manila to Tagbilaran. Ferries and ships are obviously slower than aircraft, but they can save you a whole lot of money. If you are in Manila, you can also take a boat ride via Superferry, which is cheaper but takes more than 24 hours to arrive in Tagbilaran City seaport. 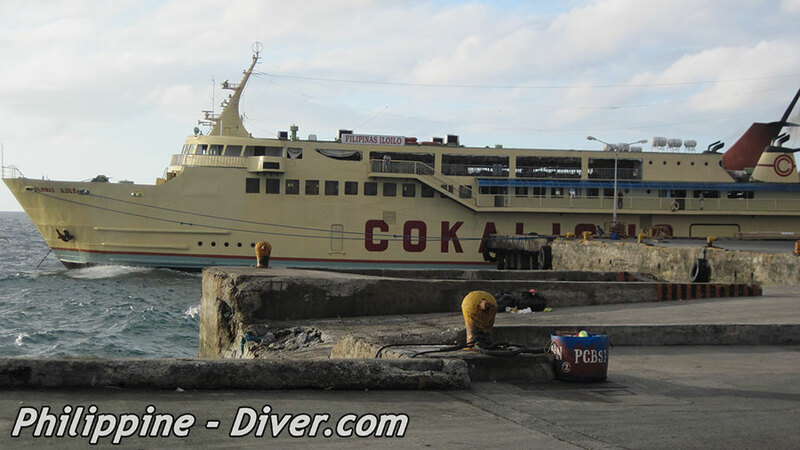 If you’re in Cebu, you may choose to ride a fast catamaran ferry (also known as “fastcraft”) to Tagbilaran City seaport. This usually takes about an hour and a half, and costs around 500 pesos. Supercat and Oceanjet are some of the operators of fastcraft trips to Bohol. If you’re on a tighter budget, there are slower ferries that can take you to Bohol at less than half the price of fastcrafts, but they usually arrive in four hours. There are also boat rides to other seaports of Bohol in Tubigon or Talibon, in the northern part of Bohol. They are a lot cheaper than boat rides to Tagbilaran City because they are closer to Cebu City. After arriving, you can then take a van or bus to Tagbilaran City or any other town within Bohol. Since Bohol is already an established tourist destination, it is not difficult to find regular boat or ferry trips to Bohol from wherever you are in the Philippines.